Since 1985, the team at Gaebe, Mullen, Antonelli & DiMatteo has championed corporate clients’ interests from courtrooms to boardrooms as litigators and trusted business counselors. In that time we have grown to 20 lawyers supported by a dedicated staff, some of whom have been with us for more than 20 years. experience is not only a powerful weapon in court, it is a source of wisdom and experience for businesses guarding against legal risk in volatile times. Our seven equity partners collectively have spent more than a century representing businesses and insurers in all aspects of litigation. Our work ranges from risk management and lawsuit prevention to fighting and winning insurance bad faith claims on appeal. We seek maximum efficiency for each client through direct personal dealings, effective use of research and real-time billing technology. This allows comprehensive responses at the touch of a button, even in trial, saving our clients time and money and minimizing surprises in pursuing a satisfactory bottom-line result. We know our clients have businesses to run, and we are relentless in our focus to assist our clients reach their business goals in the most efficient and ethical manner. We can also litigate complex, evolving issues arising from recent change in law and in technology, without the overhead and bureaucracy of a large firm. 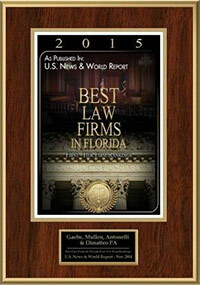 The firm and all its named partners have earned top AV Peer Review ratings from the Martindale-Hubbell Law Directory. 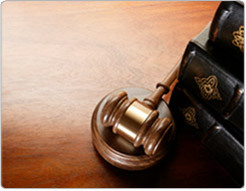 Each has contributed talent and leadership to America’s most selective trial law organizations, including the Defense Research Institute, the International Academy of Trial Lawyers, the Federation of Defense and Corporate Counsel, the American Board of Trial Advocates and the International Association of Defense Counsel. Prior to establishing this partnership, our senior lawyers worked together at a local Miami firm and have been together ever since. This continuity among lawyers and staff gives our firm added value and depth.